Undergraduate and graduate students of chemical engineering. 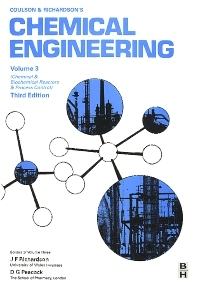 Reactor Design - General Principles; Flow Characteristics of Reactors - Flow Modelling; Gas-Solid Reactions and Reactors; Gas-Liquid and Gas-Liquid-Solid Reactors; Biochemical Reaction Engineering; Sensors for Measurement and Control; Process Control; Problems. The School of Pharmacy, London, U.K.